If you’re new to the Suntree or Melbourne area or are looking for a new dental office home, we invite you to learn more about the dentistry practice of Cedric C. Chenet, DDS. 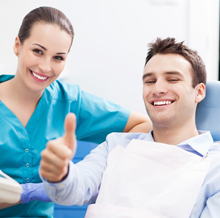 He and his dedicated dental team work hard to make your dental care experience comfortable. Located in beautiful Melbourne, we provide treatment for patients from surrounding communities including Suntree. Cedric C. Chenet, DDS is dedicated to providing patients with quality dental care using only the best materials and state-of-the-art treatment methods. Dr. Chenet has completed years of advanced training and experience that allows him to offer Melbourne and Suntree dental patients the best possible care. Each year he completes continuing education courses to ensure he can offer his patients the latest in quality dental care. 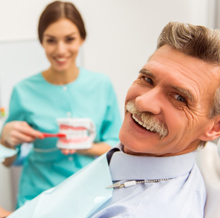 Our dental care plans are personalized to meet each patient’s unique needs. From the moment you arrive in our practice, every member of the team is here to help you. If you ever feel anxious or fearful, please let us know. We are always happy to go above and beyond to help patients feel comfortable throughout their time in our office. 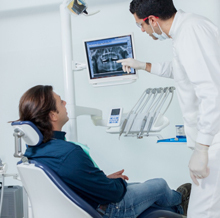 Advanced technology – we use diagnostic Panoraex digital x-rays and provide CEREC same day restorations to make restorative treatments fast and flawless. TMJ Therapy – patients experiencing jaw pain or difficulty opening and closing the mouth can find relief with our variety of TMJ therapies. Sleep apnea – loud snoring and waking feeling exhausted are both signs you may need treatment for sleep apnea. 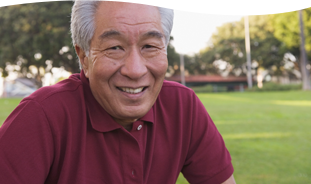 Dr. Chenet offers comfortable, effective oral appliance therapy for patients with sleep apnea. Dental implants – the gold standard in tooth replacement techniques, dental implant supported crowns, bridges, and dentures give you a flawless natural looking and feeling smile. 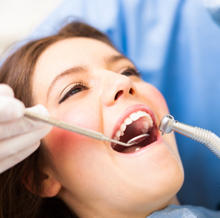 Preventive care – all dental treatment plans have a focus on prevention. 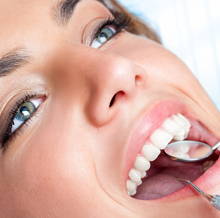 We want to keep your smile whole and healthy and avoid the need for advanced procedures. 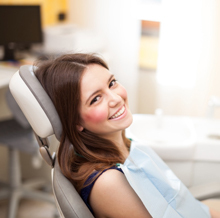 Every preventive care plan includes regular dental checkups and teeth cleanings in our office. Restoration – when dental damage or decay occurs, we do provide a wide range of dentistry services to repair your smile including fillings, dental crowns, and root canals. Custom tooth replacement – Dr. Chenet has years of training and experience that allows him to provide the highest quality tooth replacement prosthetics. From a single replacement tooth to advanced dentures, our office provides natural looking and perfectly functioning restorations. Cosmetic dentistry – if you want to brighten, straighten, or perfect your smile, we offer a wide variety of cosmetic dentistry services to create the flawless smile of your dreams. We offer Zoom! 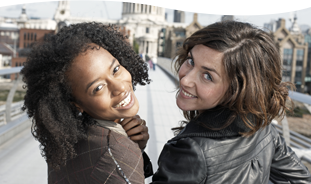 teeth whitening, porcelain veneers, and more. For our dental patients from Suntree, it’s easy to reach our office in less than half an hour. Simply take Highway 1 south. We are conveniently located just off of the highway. You will turn right on E Hibiscus Blvd. Then, take the first left onto Waverly Place. Our office is two blocks ahead at the corner of Waverly Pl. and Seminole Ave. If you need help finding the office, please don’t hesitate to give us a call. We’ll walk you through step by step directions to help you find us. Our dentist and team have years of experience processing and filing dental insurance claims, and we’re happy to file your claims for you. We also accept payment in cash, check, and major credit card. If you want spread the cost of treatment out, we also partner with CareCredit to provide low and no interest credit plans to bring even the most advanced dental care into your budget.